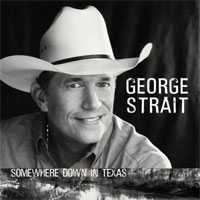 The brand new studio album "George Strait, Somewhere Down In Texas", hits stores on June 28th! Shop for guitars, basses, keyboards, percussion, amps, as well as recording, mixing, lighting, and DJ gear. Free Express Shipping on Most Orders Over $199! Nashville, TENNESSEE---Frank Willson, President of BSW Records, announced Country Country Records has signed an agreement with BSW Records and Universal Music Marketing for distribution and promotional representation in the foreign markets. UMM will also handle radio and media relations for Country Country Records in the 26 countries that BSW and UMM have worked with successfully for over 17 years. Country Country Records President, W. Bush said he feels that with the foreign market growing like it is it was to the label's advantage to be part of that growth and the agreement is a great step in that direction. The label had just signed Johnny Cash's Tennessee Three as well as G. Bush with both acts releasing albums as well as singles on a world-wide basis in late June. Country Country Records is in the process of putting together a package of some of Country music's top songwriters that include the number one songs written or co-written by them. The first songwriter in this package to release an album will be Ray Pennington, with separate albums by Wayne Kemp, Royce Porter and Wayne Carson to follow. The label hopes to have all of the projects completed and released by November of 2005. Universal Music Marketing will, as it has been since 1987, head all the promotion in the foreign countries, as well as the media and radio marketing, in conjunction with the sales distribution of the CDs, both on the store level as well as online. Country Country Records will be represented in Music City out of the BSW Offices because of the companies' close working relationship on the same project. Earl E. Owens, head of BSW and UMM Operations in Nashville, will also head the operations of Country Country Records. For information on the various projects call 615-824-1578 or fax 615-264-6892. Opulent Records Becomes a Label and Releases Its First Album With National Exposure and New Technologies. After obtaining private funding from a local Cincinnati Angel and friend, music manager Jason Appleton launches Opulent Records with its first label release On July 19th, 2005 by indie rock foursome Extra Blue Kind entitled The Tide And The Undertow. Extra Blue Kind melds pop sensibilities, the best of modern rock with the right amount of memorable hooks and pure unadulterated energy to create a unique and irresistible sound. Notable influences include The Cure, The Pixies, Cursive, The Cardigans, the multi-faceted Dave Grohl, the lo-fi art rock of The Sea and Cake and the melodic flavor of 60s pop. Having worked in music management for almost 4 years Jason Appleton has established a solid foundation to build from with intent on establishing Opulent Records as what he refers to as an artist development label. Opulents first group, Extra Blue Kind ( www.ExtraBlueKind.com ), an indie rock group out of Indianapolis, IN will be releasing their debut full length album The Tide And the Undertow on July 19th immediately followed up with their national TV debut performance on G4TVs Attack Of The Show on July 22nd. ( www.G4TV.com ) EBK will be performing two songs from the new album and G4 will be airing the music video for Make Yourself Useless. To help promote the album Opulent has worked with director Matt Mays of Pathway Productions out of Indianapolis, IN to create a music video for EBKs song Make Yourself Useless (Track #1 on the album) of which will be freely distributed over the internet. We encourage people to download the video, make torrents, share it with friends, stick it on their websites etc. Its all about spreading the word and giving fans something free they can use to help promote the album says Jason. Along with the typical B&M distribution for the album, Opulent will be hosting an online affiliate program whereby web savvy surfers and webmasters can promote an MP3 version of the album in exchange for 50% of the online sale price and get paid each week while being able to check their stats at any time. One of the first times a label has offered such a program directly to fans. Initially, The Tide And The Undertow will be available online at places like CDbaby.com, I-Tunes and many other locations and will reach stores shortly after. Patriotic Country 2 is the follow-up to 2004s popular debut, Patriotic Country. It serves the dual purpose of providing entertainment for country music fans as well as raising awareness for the Armed Services YMCA, a charity supporting the families of junior enlisted military personnel. 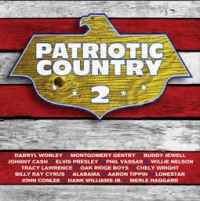 Patriotic Country 2 features 17 popular, patriotic-themed songs from todays hottest stars and the legends of country music. Patriotic Country 2 is filled with chart-topping favorites including Alabamas "Down Home" and Darryl Worleys "Have You Forgotten," both of which rose to #1 on Billboards Hot Country Singles & Tracks chart. Other songs such as Buddy Jewells "Sweet Southern Comfort" and Aaron Tippins "Youve Got to Stand for Something" have topped the Billboard Hot Country Recurrent Chart. American music for American heroes, Patriotic Country 2 is an uplifting project, helping to unite the nation behind a vital, common cause: support for our troops and military families. Artists appearing on Patriotic Country 2 are thrilled to be involved with this important national project. Aaron Tippin says "We are so blessed in America. Heres a nice way to say thank you to the people who guarantee our freedom, and to remember the enormous sacrifices their families make." John Conlee, who dedicates the Armys offical new anthem, "They Also Serve" to the CD, agrees. "I feel so strongly about this. We have to do everything we can to support the families of our men and women in uniform." In addition to helping Americans remember the sacrifices our troops make every day, Patriotic Country 2 will raise awareness of the Armed Services YMCA. S. Frank Gallo, RADM USN (Ret. ), National Executive Director of the Armed Services YMCA explains, "The Armed Services YMCA works tirelessly to enrich the lives of the families of junior enlisted military personnel. We are proud to be involved in this incredible effort, and are delighted to have the support and enthusiasm of all Americans who seek new ways to show their appreciation for our young men and women in uniform." The Armed Services YMCA has branches located on or near 34 U.S. military installations around the world and serves more than 450,000 people each year. From the hottest stars today as well as our great Legends! Over 40,000 Titles. No Late Fees. Netflix is the world's largest online DVD movie rental store service offering more than 2 million members access to more than 40,000 titles -- for a flat monthly fee. -- Returns, no matter where you live. My pal, Clay Rigdon has a brand new web site and it's BEAUTIFUL!!! 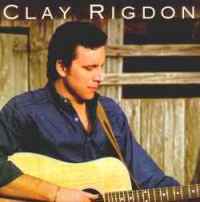 Also be sure to visit Clay on MKOC to read my review of his self titled CD, "Clay Rigdon". compete for over $100,000 in cash and prizes, including an Overall Grand Prize package of $10,000 (US) in cash and $20,000 in merchandise. Winners benefit from extensive press and publicity, giving exposure and recognition to an international music market of industry professionals and fans. Monte Lipman (President, Universal Records); Tom Waits; Darryl McDaniels (Run D.M.C. ); Amy Ray (Indigo Girls); Benji Madden (Good Charlotte); Joss Stone; Macy Gray; Jeff Stinco (Simple Plan); Peter Hook (New Order); The Donnas; Dan Storper (President, Putumayo World Music Records); Michael McDonald (President, ATO Records); Cameron Strang (President, New West Records); Tara Griggs-Magee (Executive VP, Gospel/Urban Music Sony Records); Chris Parr (VP Music Programming & Talent Relations, CMT); Bruce Iglauer (Founder/President, Alligator Records); Alexandra Patsavas (Music Supervisor, The OC/Carnivale/Grey's Anatomy); Barbara Sedun (VP Creative, EMI Music Publishing Canada); Leib Ostrow (CEO, Music for Little People); and more to be announced. 2005 categories: Pop/Top 40, Rock, Gospel/Christian, Country, R&B/Hip-Hop, Performance, Folk/Singer-Songwriter, AAA/Roots/Americana, Jazz, Dance/Electronica, Blues, Children's Music, Teen (18 yrs. old and younger), Instrumental, World Music, and Lyrics Only. Early bird deadline for submission is July 15, 2005. Final deadline for submission is September 15, 2005.
and then I watched it turn around. is the only way I'll ever go. we crossed the Pennsylvania line. to bless us with his legal seal. icy rain is coming down. Looks like winter's coming on. UNCLE JACKS PEP TALKS FOR SONGWRITERS AND ARTISTS. If we accomplish any one of these were not doing badly. If we can combine two or more of them, were doing our job. but we try not to bring it out in a live audience for health reasons. I admire and study comedians. I think the difference between a comic and a comedian is this: The comic makes us laugh. The comedian makes us laugh, cry, and maybe think. The true comedian has depth, not just the shallow gag lines you see so often on late night TV. Jackie Gleason, Robin Williams, and Lou Costello fall into the comedian category... Comedy combined with pathos. The same applies to actors. You can give the same lines to different actors and certain ones will make you believe it. In my case at least, I have to feel things myself before I can project them to others. Audiences can sense insincerity. I have to learn and analyze the material until its real to me. Get into the story. I like story songs, and write them when I can. Just describing a person or feeling is not a story. Something has to happen to make it a story... Some action resulting in a life change or lesson... An epiphany. I think the songwriter ought to feel it while creating it. To me its like a screenplay, and Im in it. Rhyming dictionaries and clever word play will get us by, but they seldom create a classic. Writing, singing, and performing are all creative efforts. Dont settle for polite applause. Go for a standing ovation every time. Leave them thinking about it after the last note fades away. SONGWRITING BY CLENCHING AND GRUNTING. When we were still charting Billboard hits and had a healthy income, I wanted to get a job in a gas station. My plan was to get out of our usual circle and down with the people. I thought I needed real life input for song inspiration. This was in the seventies, when service station employees still pumped gas. It wasnt a workable idea because we were too well known, and I couldnt just blend in. I got special treatment in those days, no matter how hard I tried to be one of the guys..
Misty and I were racing around every day... going to functions, museums, theaters, clubs, malls, and anywhere there were people and activity. I always kept an eye out for subject matter for my songs. It was one of the worst dry spells I ever had. I even went to a hypnotist to try and break my writers block. Still nothing of real value. I finally realized that I was trying too hard. I cant force my art to happen by clenching and grunting. I wrote a lot of phrases and tried to squeeze them into stories or songs, but nothing of any depth came out of all this frenetic activity. I had countless legal pads scribbled full of junk I got from rhyming dictionaries and other sources. My left logical brain was working its head off. My right artistic brain was hiding out. A reporters rule is to write down things on the scene while theyre happening. Im not a reporter, and that doesn't always work for me. Im a storyteller, an entertainer, a clown, and maybe a philosopher, as most capable writers are. I need to let events distill down to their essence, and age a little, in the back rooms of my memory. Im drawing from inside now, where my life looks more like a story, than it did when it was actually happening. For over 30 years The Conclave and The Country Radio Broadcasters have been dedicated to contributing to our industry through annual and regional gatherings in the spirit of education. Both non-profit organizations, The Conclave and The CRB are made up of industry professionals who contribute countless hours of their own time to help accomplish the mission of their organizations. They are successful with the support of a dedicated staff and a couple of fabulous Executive Directors. The continued partnership of The Conclave and The CRB is another way that both organizations continue to contribute to better our industry and provide opportunities to learn and network on many levels. One of the big challenges for radio stations, regardless of market size, is how to create fresh promotional ideas that can help sponsors achieve their goals and promote their station at the same time. Given the demands on today's Program Director, it is increasingly difficult to find time for "out of the box" thinking. Label reps are often a great source of ideas, because we deal with so many program directors and promotion directors every week. We are able to not only learn about promotions that are working in other markets, but in many cases help to implement them. In the radio and record industries, as in life, we are often so focused on our own priorities that it is often difficult to see situations from the perspective of the other guy. Several years ago, The Country Radio Broadcasters developed an exercise to address this issue, and it became one of the highest rated panels at the Country Radio Seminar. We have been asked to present it this year at The Conclave, and I will be moderating the session. Over the past couple of weeks, youve been reading commentary from leaders inside the world of country, saying some nice things about the Conclave and inviting you to attend the 30th annual Conclave Learning Conference next month in Minneapolis. Im honored to be presenting yet another installment in As The CRB World Turns (at the Conclave). Used with permission. Copyright 2005 Country Radio Broadcasters, Inc., all rights reserved. * You can keep up with the schedule at www.scottsburgjamboree.com click on Friday and Saturday shows and www.risingstarpromo.com/road.htm for our road shows. * Or you can look at our calendar @ http://www.calsnet.net/jamboree for all of our bookings. Instead of living in the shadows of yesterday, walk in the light of today and the hope of tomorrow ~ a loving God is always by your side. Reality Entertainment is on a worldwide search for the next big thing: Is your band ready for the world? Reality Entertainment presents the WORLDWIDE DIGITAL RELEASE CONTEST sponsored by Epiphone Guitars and the Digital Rights Agency. The long awaited return visit from Leona Williams will take place in September. Following her first tour last year Leona promised that she would return soon again, and true to her word she has arranged to be in Ireland from Sept 24 to Oct 4. This time 'round she is also bringing her son Ron Williams who is a singer in his own right, and the Barry Doyle Band will accompany her on all dates. Royal Hotel, Roscommon, on Sept 25th; Clanree Hotel, Letterkenny, on Sept 27th; Drummond Hotel, Derry, on Set 29th; Mellon Country Hotel, Omagh, on Sept 30th; Great Northern Hotel, Bundoran, on Oct 2nd and Hillgrove Hotel, Monaghan on Oct 4th. Leona Williams has the unique distinction of being the only female artist to have recorded an album in a prison, a feat she achieved in San Quentin, with the backing of none other than Merle Haggard's band, The Strangers. The album is called "San Quentin's First Lady" and I have no doubt it will be on sale during her tour here. Of course the Merle haggard connection doesn't just end with his band because Leona was in fact married to the Hag for 8 years, and not only toured with him but also recorded a duet album with him. The album, released on Mercury Records in 1983 ( 812183-1) is called, "Heart to Heart", but I'm not sure if it's still available. Leona has recorded quite a few solo albums as well, and throughout her career has picked up quite a few awards such as Induction into the Iowa, Texas, and Missouiri Country Music Hall of Fame. She has also received the prestigious George D. Hay Award in Nashville and the Texas Living Legend Award in 2004. 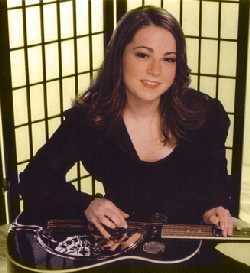 Leona is also an accomplished songwriter and has songs recorded by Merle Haggard, and our own Daniel O'Donnell. If the response to her tour last year is anything to go by, then this next visit by Leona should be a sell out. Note: I did some checking to find Leona and Merl's CD. Ta-da! Here it is! The album contains 28 tracks! Congratulations to Mary Larkin and her hard working team in Ros FM, the new Community Radio Station which broadcasts on 94.6 in and around Roscommon Town. The station was acknowledged for promoting country music when Moe Bandy and his band visited the studio and performed a live set during his tour earlier this year. Country DJs at the station are Adrian Martin Murphy, Jimmy Fallon and Kieran Mc Dermott, who between them offer the listeners a wide variety of country music styles. 51% OFF - Walinda/Malata DVD-710V Portable DVD Player with 7"
Due to her success in the US, Canada, New Zealand, Australia. Japan and Europe, CountryHome  Germanys Premier Country Music Magazine -, www.countryhome.de , Chrysler car dealer "AmeriCars", www.americars.chrysler.de , in Frankfurt, WECO, Bergerstr. 219 in D-60385 Frankfurt, Radio Megastar, www.radio-megastar.de , Mea-Event, www.mea-event.com , Steel Guitar Nashville, www.steelguitar.net and many others are presenting her Tour in Germany from June 17th through July 7th of 2005. Please Enter Ashleys Photo Contest! Take a photo of yourself with Ashley at a concert. Email your photo to Ashley at ashleyfanclub@hotmail.com and if your photo is selected, Ashley will put it on her website and send you an autographed photo! Be sure to include your contact information, name, full mailing address and email when you submit your photograph. By sending in your photo, you are giving Ashley permission to use your photo. Ashley will be available to meet & greet fans and friends and autograph CDs at all the concerts & appearances. We'd like to extend our congratulations to our first recipients of SongU.com Certifications. Lorna Flowers, M. Bagley and Shelley Jacobson have all achieved the status of "Certified Lyricist". Lorna and M.B. have also achieved "Certified Commercial Songwriter." Completion of these certifications demonstrate exemplary knowledge of the craft and business of songwriting. In addition, all of these members have gotten cuts and/or have received airplay during their membership at SongU.com. SongU.com "Certified Songwriters" Achieving Success! If you think that learning your craft and knowing your stuff doesn't pay off, think again! Fresh on the heels of their SongU.com Certifications, in the past month, both Lorna Flowers and Shelley Jacobson have been offered staff writing positions at "Full Court Press Music." This is a brand new publishing company headed up by well-respected (and connected) Mike Hyland, whose credits include working with everyone from Traffic and the Allman Brothers to Keith Whitley and Waylon Jennings. Lorna added to the celebration by landing her first major label hold this week as Blake Sheltons producer put her song Im Not Ready Yet on hold. Thanks Lorna, Shelley and MB for showing the world that knowing your craft really does pay off (to learn more about SongU.com Certifications, go to: www.SongU.com/pubCertification.asp). We have another direct-to-producer pitch this month for our SongU.com Platinum Members. This major-label producer is seeking songs for a new female artist who already has major label interest. We spoke to the producer and he will be cutting songs this summer. He is looking for contemporary, positive country songs - preferably uptempo. Nothing negative. SongU.com Platinum Members can listen to a sample of this artist and submit up to 1 song for this Spin N' Pitch opportunity. Deadline is Monday, June 20th. SongU.com Turns Two Years Old! How's your summer going? Hope you're all doing well. Did you know that it's SongU.com's birthday this month? Yes, on Friday, June 24th, SongU.com turns two years old! And there have been lots of changes in the past two years. We've gone from offering 20 self-paced courses on songwriting to over 40 self-paced and instructor-led courses. And did you know that our Platinum members now receive professional-looking websites and take part in regular co-writing hook-ups as well as have regular pitching opportunities? Even though we've undergone a lot of changes and improvements in the past two years, one thing has remained constant -- we have a great community of talented writers that continue to make us proud of what we do at SongU.com. I'd like to take a moment to extend our congratulations to our first recipients of SongU.com Certifications: Lorna Flowers, Shelley Jacobson and M.B. You might be wondering if SongU.com Certification really pays off? Well, in the past month, country writers, Lorna Flowers and Shelley Jacobson have been offered staff writing positions at "Full Court Press Music" while R&B/Pop songwriter M.B., has been offered three single song contracts with major publishers in Los Angeles. MB also had the honor of being selected as one of 11 writers (out of a few thousand applications) to participate in this year's ASCAP Extended Songwriters Workshop. Thanks for showing the world that knowing your craft really does pay off. Rock on! * Darcie Wicknick is the co-founder and managing director for the Boston Hip-Hop alliance. Darcie is also a professional R&B/Gospel vocalist and songwriter in addition to the current bandleader for the group, Velvet Stylus. Darcie has worked with many of New Englands well-known producers including Lewis West, Chase and Jesse Jaeo Tolbert. She also served as staff lyricist and demo vocalist for several years for TKO Sound Communications and I-Pop Records/JMP. She is the founder of "...Ask Darcie" which reaches a diverse, worldwide client base, and offers services in music industry advice, strategic planning, publicity, administration, radio promotion, artist development, and more. Darcie also serves as a contributing writer to several trade magazines and e-zines. Look for Darcies SongU.com self-paced business courses on copyrights and contracts to appear early in 2006. * Jai Josefs has taught classes at UCLA, NSAI, and the Songwriters Guild and over the last 15 years has pioneered a system of songwriting education that has enabled many of his students to launch successful careers in the music industry. In addition to teaching, he has been a successful songwriter, arranger and producer, Jai's credits include songs recorded by artists such as Jose Feliciano to Little Richard, as well as for companies like RCA, MCA, Motown and Disney. His songs have been used in TV shows on every major network, including such shows as CSI, Spin City, Smallville, Nash Bridges, and Malcolm in the Middle. Recent film credits include Random Hearts (w/ Harrison Ford), Waking Up in Reno (w/ Billy Bob Thornton), and Roosters (with Edward James Olmos). Jai will begin teaching some instructor-led courses and e-Workshops focused on melody writing and music for SongU.com in early 2006. * Helen Darling is a Grammy-award nominated songwriter and former major label recording artist whose credits include the #1 crossover hit song Bring On The Rain recorded by Jo Dee Messina and Tim McGraw. This #1 song was nominated for a Grammy, an ACM and a CMA award. Darling started her career as a Chicago jingle singer on television and radio commercials for such clients as McDonalds and 7-up. Her voice sang the familiar query, "Have you driven a Ford lately?" After moving to Nashville in 1993, Darling began singing song demos as well as back-up for artists such as Garth Brooks. She later signed a recording contract with MCA/Decca Records and her debut album featured appearances by Garth Brooks who sang back-up on her track of Even God Must Get The Blues in addition to Delbert McClinton and Lee Roy Parnell. Extreme Writers Group signed Darling in 1999 as a staff writer, and she has since had cuts with Mindy McCready, Niki Horner, Bering Strait, and Amanda Wilkinson. She currently divides her time between Montana and Texas. Look for Helen's SongU.com e-Workshop about women and writing (not for women only) scheduled for this October, as well as additional instructor-led courses in early 2006. * Jack Knight is a hit urban songwriter and producer whose credits include hit singles by Usher, Monifah, Total, Carl Thomas, Faith Evans, Guru, Loon and P. Diddy. Jack initially came to the forefront as an urban soul writer and producer, working with the likes of Total, Monifah, Blackstreet and Chico DeBarge. After scoring a couple of hits behind the scenes, Knight decided to move into the realm of recording, releasing his critically acclaimed debut album, Gypsy Blues (Universal) in the summer of 1999. He was the first writer signed to Sean "P. Diddy" Combs publishing company, "The Writing Factory" a subsidiary of Bad Boy Entertainment where he continues to write, record and produce hit records on a regular basis with artists including Mary J. Blige, Lil' Kim, Mario Winans, J. Lo and P. Diddy. Jack is currently collaborating with SongU.com co-founder, Sara Light, on a book (nearing completion) about writing hit songs geared toward the Urban music market. Jack is also overseeing the development of an Urban School of Music at SongU.com. Look for Jack's upcoming e-Workshop in July, "The Urban Experience", where he'll break down and talk about one of his hit songs. We'd like to take a moment to extend our congratulations to our first recipients of SongU.com Certifications: Lorna Flowers, Shelley Jacobson and M.B. Completing the requirements for Certification demonstrates exemplary knowledge of the craft and business of songwriting. In addition, all of these members have gotten cuts and/or have received airplay during their membership at SongU.com. In fact, in the past month, country writers, Lorna Flowers and Shelley Jacobson have been offered staff writing positions at "Full Court Press Music" while R&B/Pop songwriter M.B., has been offered three single song contracts with major publishers in Los Angeles. MB also had the honor of being selected as one of 11 writers (out of a few thousand applications) to participate in this year's ASCAP Extended Songwriters Workshop. Lorna, Shelley and M.B. are great examples that knowing your craft and learning to write better, more competitive songs really does pay off. Sara and I will be among the many songwriting instructors, including several of the SongU.com faculty, teaching workshops at the first Songposium in Nashville sponsored by the NSAI. This event is designed to be an on ground educational festival for songwriters offering over 150 workshops over 4 days. You can register for Songposium and purchase a weeklong pass at: http://www.nashvillesongwriters.com/news.ez?viewStory=439. If you are in Nashville on Sunday, July 24th, you can also see Sara & Danny as the featured songwriter guests at the Bluebird Café. The MKOC Newsletter is sent with the permission of the recipients. Feel free to pass the newsletter on to your friends. and let me know it is for the newsletter. Need a website? I'm available.